Tomorrow marks the first Sunday in February, which means millions of Americans will gather around their televisions for the biggest sporting AND television event of the year. My mom always referred to it as the “Stupid Bowl,” and it’s been the name I’ve used ever since. Football just ain’t my thang. But I’ve always loved Super Bowl Sunday and other football related events because as much as they’re about the big game, they’re also about drinking beer and stuffing your gullet with as much junk food as possible. Any excuse to get together with my friends and do that is something I can get behind. Chicken wings. Nachos. Jalepeno poppers. Fried things. 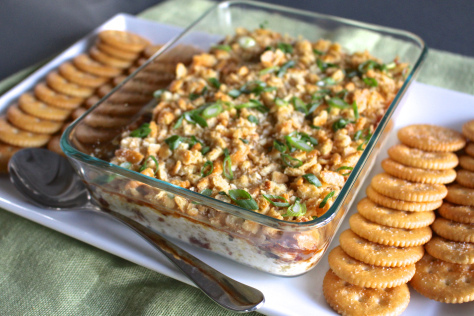 I was first introduced to this dip back in college by a lovely lady and AMAZING cook named Kim when she made it for an LSU tailgate. After just hearing the name “warm cheesy bacon dip,” I knew it was going to be love at first bite. And it was.Warm bacon dip completely swept me off my feet. Years later I tried to recreate the dip based on a few recipes I found online, but they were never quite the same – something was missing. So recently I contacted Kim to see if she would fork over the recipe, and our delight, she did it more than willingly. 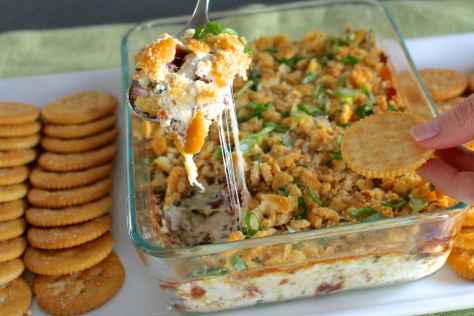 This bacon dip might be richest, most decadent, borderline disgusting thing you’ll ever eat. It’s gooey and oozey and creamy and salty. It’s fat on fat on fat – and it will knock your freaking socks off. The recipe comes together really easily and has a fairly simple ingredient list, so it’s perfect to make for whatever Stupid Bowl party you’ll be heading to tomorrow. It’s guaranteed to be the most raved-about dish of the night. Unless, of course, it’s a party full of vegans… Then it might not go over so well. But hey, look on the bright side: more bacon dip for you! It’s win-win. The hardest part of this recipe is trying to refrain from eating all of the bacon before it makes it’s way into the bowl. We must do our best to demonstrate self control. But hey, it’s totally normal for a piece or two of bacon to accidentally, somehow, find its way into your mouth. Look. It’s going to happen. Just let it. I believe this recipe was designed with a little “it’s ok if you eat some of the bacon” wiggle room. 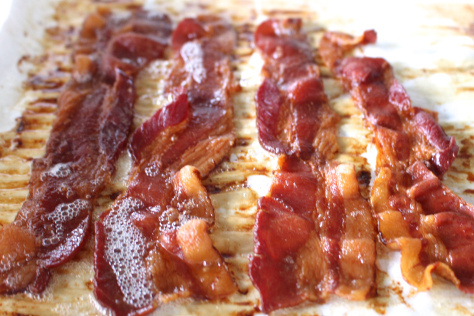 There’s a lot of different ways to cook bacon, and if you’re even remotely interested in this recipe you probably already have a method you prefer. 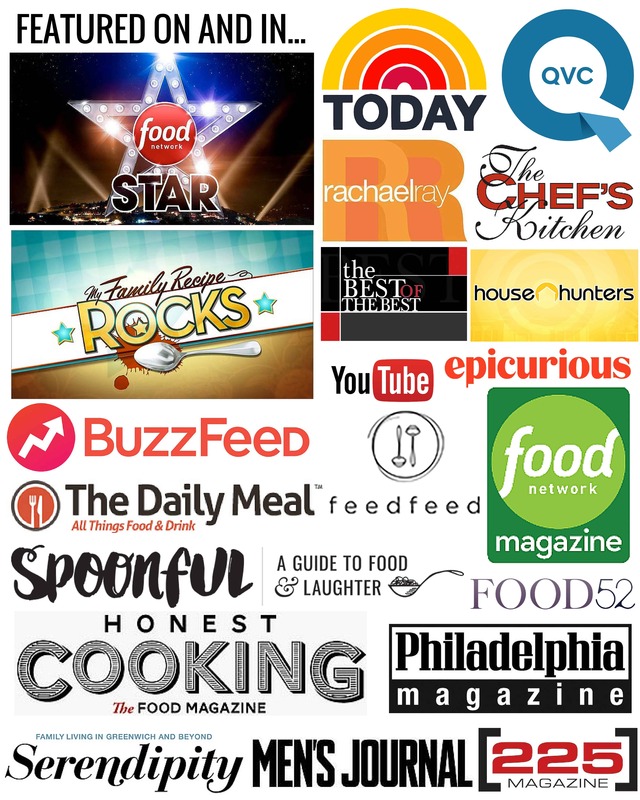 But allow me to share the way I do it, because in my humble opinion, it’s the best. I like to cook it in the oven, straight on the pan, with a sheet of parchment for easy clean-up. 325-350 degrees f, never higher. Some people like to cook it on racks so the fat can drip away, but I find that if you cook it directly on the pan, as the bacon renders, it begins slowly frying itself in its own fat. The resulting texture is incredibly crispy, while still holding it’s shape. Once cooled, it firms up beautifully and can be easily crumbled. Licking your fingers after crumbling a pound of bacon is absolutely one of life’s greatest simple pleasures. So is this dip. Warm, cheesy, bacony and insanely delicious. Combine the cream cheese, mayonnaise and Swiss cheese until well distributed. You can use an electric mixer, but a rubber spatula and a little elbow grease will get the job done just fine. 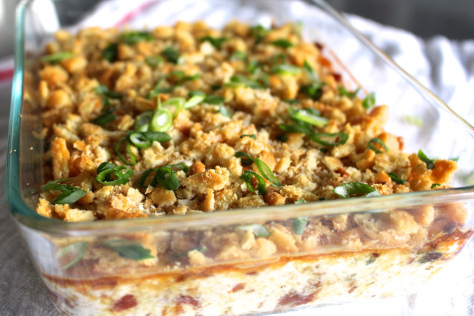 Mix in the green onion and bacon and place in baking dish. 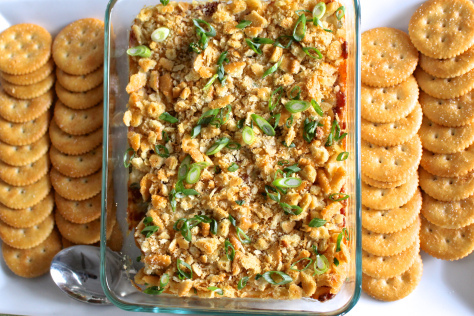 Top with the crumbled Ritz crackers. Bake for about 25 minutes until the center is hot and bubbly. Serve immediately with crackers on the side for dipping. Kim usually doubles the recipe, and you may want to as well. Just be sure you have enough friends around to help you eat it. *After cooking the bacon, you're going to have quite a bit of leftover bacon fat. Don't throw it away! Pour it into a jar and keep it in the fridge to use in vinaigrettes, for roasting potatoes, or adding flavor to all kinds of different dishes.